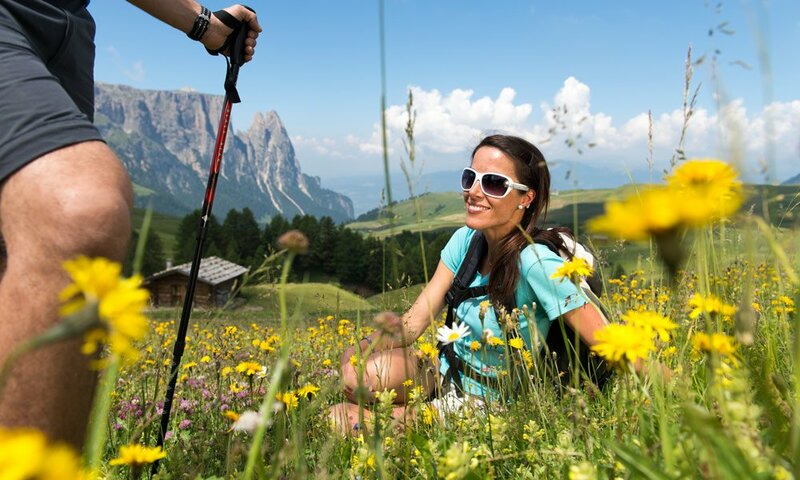 In order to make hiking in South Tyrol truly pleasurable, you generally only need good shoes, some snacks and possibly a walking stick for difficult passages. In South Tyrol, hikes are possible throughout the region. 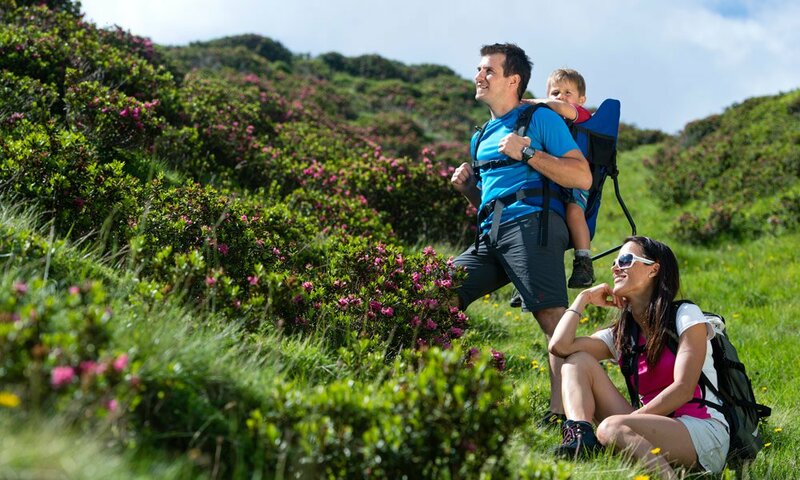 However, hiking in South Tyrol around the vacation village of Castelrotto has its own special charm. After all, here you can enjoy an unobstructed view of the giants of the Alps, such as the Sciliar Massif. Our guests particularly enjoy hiking on the Alpe di Siusi. You may easily reach the alpine plateau by cable car and can directly venture out to explore the mountains of the Dolomites. On the Alpe di Siusi, you’ll find a variety of hiking paths with very different levels of difficulty. For particularly demanding tours, you may join a guided hike. This is particular recommended for routes where a certain degree of alpine knowledge is necessary – so you may always reach your destination safely. A very special highlight for hikers who want to explore the region and the nature while hiking on the Alpe di Siusi is offered by the guided hikes are through the Nature Park Sciliar-Catinaccio, south of the Alpe di Siusi. 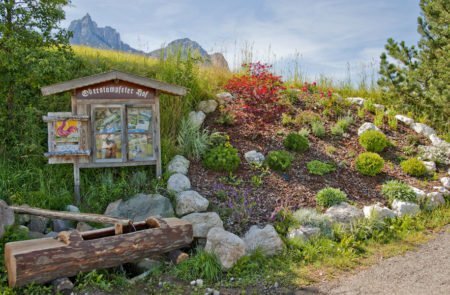 You will learn many interesting facts about the meadows, marshes, alpine pastures and mixed coniferous forests, which shape the landscape of the nature park. Of course, a hiking experience on the Alpe di Siusi also offers more challenging tours, which partly lead through the nature park as well.